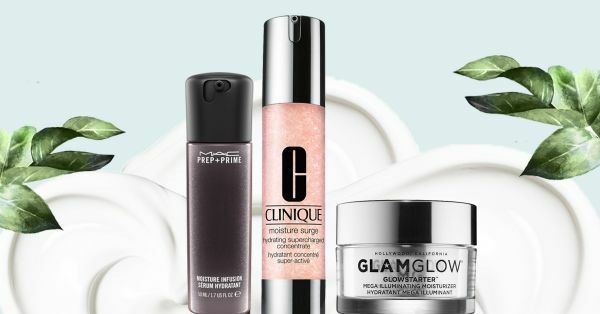 These Pre-Make-Up Moisturisers Will Make Your Foundation Blend Like A Dream! If there was *ONE* tip you could follow from make-up artists and all those Instagram tutorials it is the use of a moisturiser or facial oil before beginning make-up. The key ladies, to a perfect result, is a good base! If you’ve been sitting there wondering why your foundation doesn’t blend like a dream and why you don’t look like that glowy goddess...look into your moisturiser drawer. And yes, oily skin needs a moisturizer too. You may be using all the right tools but the answer may be sitting or NOT sitting on your countertop! Whatever your skin type - oily, combination or dry - you absolutely *NEED* to moisturise! A good skincare routine will not only help your foundation blend better, but also help your skin need lesser foundation in the long run! Celebrity hair and make-up artist and Plixxo Influencer Namrata Soni credits a good facial oil for how perfect her make-up on celebrities and models turns out. If you think incorporating a facial oil into your beauty routine may not be the best idea, you could choose any of these moisturisers we’ve listed. These 10 pre-make-up moisturisers will make your foundation blend like a dream! This is a gel-based moisturiser that’s enriched with hyaluronic acid. It penetrates deep into your skin and gives it a boost of hydration. The end result is plump, dewy and glowing skin. This one is my go-to pre-make-up moisturiser during summer! Oh, and it is oil-free, making it a boon for an oily skin type. This is a pre-moisturiser serum. Best used alone on very oily skin or used before a moisturiser for normal skin. This lightweight serum from M.A.C’s Prep + Prime line delivers a boost of hydration. It works as a serum plus a primer all in one preparing the skin for the application of foundation. As the name suggests, this is a supercharged water-based serum to instantly provide a boost to your dehydrated skin. It claims to keep your skin hydrated for 24 hours! This one is perfect for all skin types. Drier skin types however could follow this up with an added layer of a good moisturiser if needed. If you’re looking for an illuminating moisturiser to give you a hint of glow under your make-up, this is it! This one will flood your dull skin with hydration and a give you that lit from within glow. It has pearl particles that provide radiance and have light blurring properties, making this perfect for all those selfies! One of the best drugstore moisturisers available, this one leaves your skin feeling soft and supple without adding extra shine. It’s oil-free and non-comedogenic, therefore perfect for acne prone skin too. In spite of being oil-free, it keeps dry flaky skin at bay! It’s perfect for travel and has an SPF 15 which is an added benefit during the daytime. There’s a reason your mom swears by this one! The Olay Moisturizing Skin Cream has been around for the longest time. This cream helps smoothen fine lines and wrinkles, hydrates, repairs and locks in moisture for 12 hours. It’s got a light airy consistency all wrapped up in a luxurious fragrance! Designed for use specifically under make-up; this moisturiser is ultra-hydrating and ultra-lightweight! It will ensure all that dry flaky skin is at bay and your foundation goes on smooth. The easy spray bottle packaging makes for hassle-free application too! This is one of Kiehl’s best-selling products and for good reason! This moisturiser is perfect for dry skin types and for harsh climatic conditions. It is ultra moisturising and increases the hydration level in your skin by absorbing additional moisture from the air. This is your perfect pre-make-up moisturiser for winter! If you’re looking for a little bit of a splurge, I highly recommend this Bobbi Brown moisturiser. A bestseller, it is a primer plus moisturiser in one. It is enriched with Shea Butter, Vitamins B, C and E. It’s oil-free formula make it suitable for all skin types. Foundation goes on like silk after this one! Add a drop of this gorgeous facial oil to your foundation or to your moisturiser and see magic happen! It has 24 karat gold flakes and anti-ageing benefits and can be used for all skin types. It doesn’t clog your pores or cause acne but actually helps cure it and all the blemishes it leaves behind. I use this daily in the morning and night AFTER applying moisturiser and my make-up has never looked better!